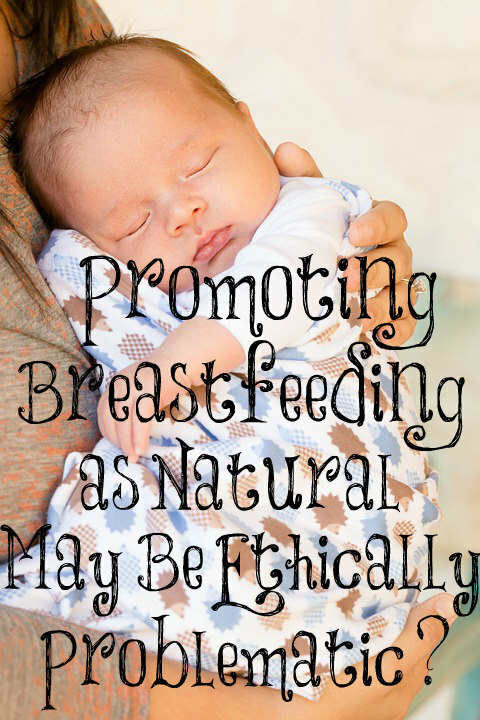 Promoting Breastfeeding as Natural May Be Ethically Problematic? “These pockets of antivaccination sentiment tend to overlap with reliance on and interest in complementary and alternative medicine, skepticism of institutional authority (public schooling), and a strong commitment and interest in health knowledge, autonomy, and healthy living practices.” They worry that those who are into “natural” will want to use alternative medicine, homeschool their children, and actually study for themselves ways to be healthy apart from medicine. Do you know how manipulative all of this is? “This embrace of the ‘natural’ over the ‘unnatural’ appears in a variety of contemporary scientific and medical issues beyond vaccination, including rejection of genetically modified foods, a preference for organic over conventionally grown foods, and rejection of assisted reproductive technologies, as well as concerns over environmental toxins and water fluoridation.” Where is freedom of choice? I try to stay away from GMOs since man has changed the way God made food. I eat organic food because I don’t want my food sprayed with toxic chemicals. I am concerned with the long-term side effects and moral implications of assisted reproductive technologies. I do my best to use non-toxic cleaners in my home and am against water fluoridation. This is all wrong in their eyes? 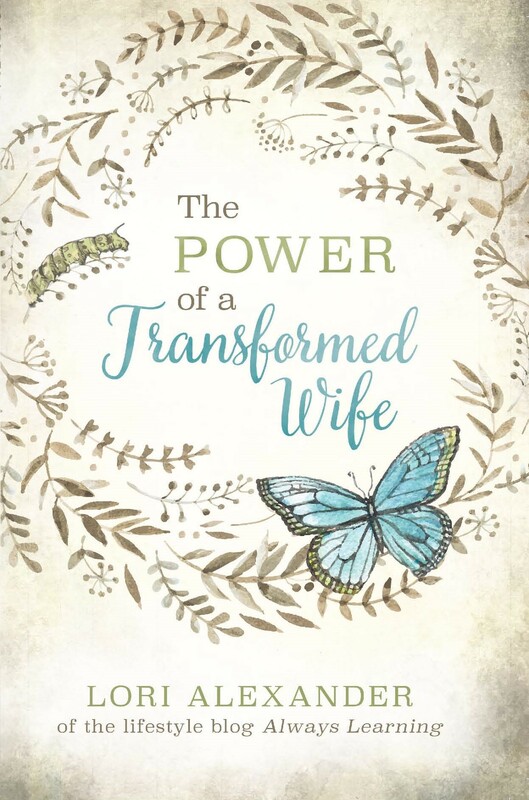 “Coupling nature with motherhood, however, can inadvertently support biologically deterministic arguments about the roles of men and women in the family (for example, that women should be the primary caretakers of children).” So modern medicine wants to manipulate language to get people on board with all they promote, even going so far as saying that women shouldn’t be the primary caretakers of children? When I read this, I didn’t know if I wanted to cry or be angry. This is heartbreaking! We must wake up to Satan’s deceptions going on all around us, women, including in the medical profession and drug companies! “Referencing the ‘natural’ in breastfeeding promotion, then, may inadvertently endorse a controversial set of values about family life and gender roles, which would be ethically inappropriate. Invoking the ‘natural’ is also imprecise because it lacks a clear definition.” It’s clear that they believe that having a father and mother in a home with children is “a controversial set of values about family life and gender roles” and this is “ethically inappropriate”? I weep for this culture and the children. Please, women, protect your children from this insanity. Doctors aren’t gods. They don’t know everything. This is why they are known for “practicing medicine.” They are mostly taught drugs, radiation, and surgery in medical school. People depend upon them entirely too much for their health, in my opinion. It’s natural to not inject your body with poisons. Vaccinations aren’t natural. I don’t think anyone would argue with this. They are created in laboratories by men. They have ingredients in them that aren’t created for the human body and there’s a lot of speculation that aborted babies are used to study and make them. Whether you vaccinate your children or not is entirely up to you and your husband. This topic shouldn’t cause dissension among believers. We must allow others to come to their own conclusions and do what they feel is best without becoming contentious, angry, and mean. My conclusion is that vaccinations are not natural nor are they healthy but breastfeeding my babies didn’t cause me to come to this conclusion. Many women who breastfeed their babies vaccinate their children. Breastfeeding IS natural! It’s the food that God created for babies to live on the fist year of their lives or so. It’s perfect for them! Man cannot make anything close to as good as breast milk from a mother’s breast. Mothers have been nursing their babies since Eve had her first baby! It’s also natural for mothers to be home with their babies and children full time. Mothers instinctively know this no matter how hard they try to ignore it or say it isn’t so. I believe that mothers need to do in-depth research to have healthy families instead of always depending upon their doctors. Eat food the way God created it to be eaten! My dad has been in the hospital or skilled care facility since December 30th. He seems to slowly be recovering at this time but it changes almost daily. He is almost 88 years old! A doctor told him he needs to drink four bottles of Ensure every day. Have you read the ingredients on the Ensure label? Some of the first ingredients listed are corn syrup, sugar, canola oil, and soy protein isolate. All of these are health destroying. They are not nourishing to the body. I would never drink these! Whenever a doctor wants to give you a drug or do some type of test on you, research it! Research vaccinations, their ingredients, and side effects. Don’t just trust doctors at their word. Many don’t seem to understand the healing power of the body. They don’t spend hardly any time studying nutrition or what makes a strong immune system. I have been able to heal many things, that most people would take drugs for, without drugs but I do appreciate doctors for emergency situations and for diagnosis. Doctors are taught in medical school that all drugs are toxic to the human body so be your own family’s advocate, women. Ask the Lord for wisdom in your decisions. He will give it! Do your best and leave the outcome in the Lord’s hands. If you want to live as naturally as possible, by all means do so regardless of what the medical profession wants you to believe! Sad when medicine too pushes the radical feminist agenda instead of sticking to objective science and fact! They’re now pushing transgender lunacy at Harvard medical school! “Natural” means a process–not an outcome. To me, that limits its usefulness in decision-making. There are many harmful natural substances, as well as many artificial substances, and the reverse is also true. Everything in nature was created by God, but it is also cursed and broken. Our world is full of death, and will be until the Lord returns to make all things new. Until then, I entirely agree that couples should make the best decisions possible for their families. I also agree that doctors can be mistaken; the doctors’ recommendations to delay allergen introduction turned out to be harmful. I also agree that people need to read the available material carefully and be able to sort out fact from opinion. What is the source, and where is the bias? Whenever possible, I think primary sources are to be preferred to secondary sources, although it can certainly be difficult to wade through scientific studies. I fed my children breastmilk as I was able, and formula when I was not. I know many children who thrived on exclusive breastmilk or formula, or some combination thereof. One baby I know was born with an inability to digest proteins, and so had to drink a special formula that consisted of amino acids. We as parents should strive to do right by our children. I don’t think that “all choices are equal”; for instance, I do unreservedly think that vaccines are safe and beneficial for our children. However, our decisionmaking should be driven by obtaining the best information we can and then proceeding, and we should recognize that those parents who make different choices are also trying to do right by their kids. I agree that some vaccines might not be good for some children. But when I saw the picture of the little 2 year old boy from Washington state sitting there crying, so sick and covered with measles I was glad I vaccinated my children and that my grandchildren were also vaccinated. Parents today have a hard decision to make when it come to vaccinations. I agree it is a hard decision and not a one size fits all. However the media likes to show sick kids who were unvaccinated to prove their point when in fact more children get sick from these childhood illnesses that were actually vaccinated. It is a risk either way. Exactly. The world loves to use emotionally-charged imagery to push a loaded conclusion on the consumer. In this case, the consumer is a potential patient. The loaded assumption here is that the immunization will solve/prevent the illness. Burden of proof? Never shouldered. Take care, fellow Christian soldiers, that you do not permit sorrow, guilt, shame, empathy to impair your judgement (2 Cor 10:5). Amen! The agenda is to move us away from God’s natural design and order and so anything that threatens that agenda must be changed or erased. This is where the madness is coming from where things like not being allowed to call parents mother and father but ‘caregiver’ or ‘guardian’ so that the reality of natural parents and gender is erased. This is why I’m so thankful that the Lord lead us to home school before our daughter entered the public system. Oh yeah and we chose not to vaccinate because i had worked in the health system prior to marriage and know the deception behind it all. I don’t have an issue if people chose that but i get blasted when people find out that we didn’t like just this past weekend. Mans ways have lead to a society of chaos and confusion, certainly wasn’t God’s plan. God will love you whether you breast or bottle feed, homeschool or not homeschool, go to your doctors for medication you need, or vaccinate. (In my country, rules are extremely strict in regards to vaccination. ) And that is the most important thing. God’s love. The biggest question I could never seem to get answered is why MD’s are prescribing Hep C (as part of the 3-part baby wellness pack) vaccinations at 18 months? Why does an infant need to be immunized against a STD? This was my ‘coming to’ moment with regards to ‘health’ care. Two of the best medical professionals I’ve ever been blessed to hear speak are Charles Majors, D.C. (RIP) and James Chestnut, D.C. These two are able to explain human physiology in very simple terms, and frame obvious questions clearly. “Toxicity vs deficiency vs homeostasis” is one of my favorites. The conclusion I came to after looking into my own health and taking charge rather than blindly accepting what I was conditioned to accept for decades is that our entire medical system is built for Big Pharma revenue. Do your own research, never accept a single doctor’s limited knowledge assertion: always seek out the directly opposing viewpoint, come to your own conclusions, take ownership of your life and body for which you are a steward. Kelly, thank you for the correction. Hep B, not Hep C. It has been 10+ years since I looked into it..
You can check out the CDC’s website and see all the ingredients in the vaccines. Then research what those ingredients are and decide if you are comfortable with injecting those in your child. Also, be sure to check out what Wikipedia says about MRC-5 human diploid cells and WI-38 human diploid cells and where they came from. If you give your child the MMR or Hep B vaccine, are you comfortable injecting them with a vaccine that used aborted fetal cells to make it? Also consider: we are injecting DNA from aborted babies into the immune system along with an adjuvant to cause a heightened immune state. This is known to trigger autoimmune problems “body attacking itself” but is this also part of why we see an increase in transgenderism? What are the ramifications of inserting male DNA into a female and vice versa? Thank you for this informational link. I do not vaccinate my children. And this ingredients list is one reason why. I will share this with other people who are skeptical. thetruthaboutvaccines.com – this is a series of 7 presentations about all aspects of these questions, and interviews a lot of knowledgeable people in the medical field. It is free, you just have to sign up. In regards to vaccination, this is my view. God gave the knowledge and wherewithal to discover what the causes of disease are. Then, how they are transmitted etc. And so on the the prevention of disease. God would want us to take advantage of these god given gifts to these wonderful medicos so we can have happy and healthy children. pharmacy (n.) late 14c., “a medicine,” from Old French farmacie “a purgative” (13c. ), from Medieval Latin pharmacia, from Greek pharmakeia “use of drugs, medicines, potions, or spells; poisoning, witchcraft; remedy, cure,” from pharmakeus. That in itself makes me shudder. Pharmacia is sorcery. We are in this world but we are not of this world. When the Word of God mentions medicine it is speaking of herbs and plants (the root of the word in the language it was originally spoke and written in is key to researching these). It is scary but not to those who know and love Jesus through His Word and Holy Spirit. This is not condemnation either, I pray that this just helps open some eyes to the deception of “modern medicine” as divine. I have an Bachelors of Science in Family and Child Psychology and an MBA in Healthcare Management. I learned the hard way what this system is about…money. And of the love of money is the root of all evil. I am now the proud mama of 2 boys and how ever many more children we are blessed with. I am at home and I thank God that what the enemy intended for evil, God uses for His Glory; and that is being open to the truth and sharing it. I was very frustrated that Trump’s government blocked the promotion of breastfeeding. And all because of greed! What have we come to.